Where 3E9 is the Hex value of the eventID used in the IDM Generate-Event action. The message gives a hint where to go to remedy the problem, but getting the full customization is where I found the most problems getting good documentation. I hope I can provide something that can act as a sample to go by to accomplish the task of getting the events showing up, as well as getting the data where we need it. The first thing to do is find the LSC files in the collector scripts. If you take the zip file for the Novell IDM collector and unzip it, you'll find 2 different LSC files dirxml.lsc and rk4idm.lsc. I decided to use the rk4idm.lsc file to hold my customizations. It is very important that you use this file as a starting point and do not modify the existing data within it, we are simply going to extend this file with additional events. At the bottom of my file, I added a comment (#) to distinguish my custom added events and some descriptions. Since all of the events are defined using hex instead of decimal values, I put a comment with the hex value above each event line. Then, start by using a known good event from the file. The display schema field can have any combination of text and the tokens for the fields above. Re-use different values from other events to parse similar data types. Please keep in mind, the text value for the field (for example, Driver DN in our sample message) is specific to that field. So a value for Text 1 Title will probably not work for Numerical Value 1 field. Once this is complete, the file needs to be added to the collector and used. 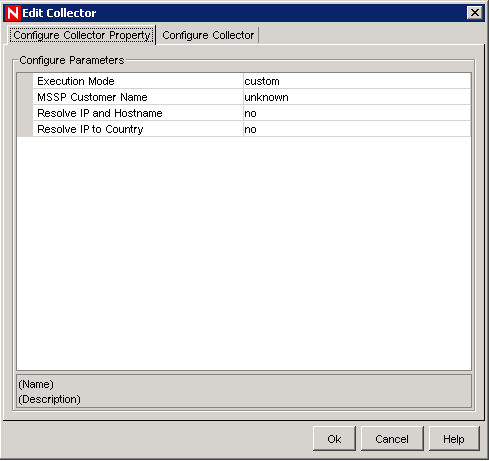 To do this, go to Event Source Management in the Sentinel Control panel, select the Collector to be modified (IDM) and click the add auxiliary file button. 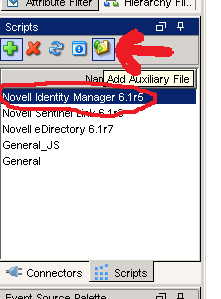 Select the modified version of the file (do not change the name either!) and upload it. * This file is used to create additional custom parsing methods for a Collector. * Collector, to provide for local customization of operation. * <li>Change the "Execution Mode" parameter for the Collector to "custom"
* This method is used to provide locally-defined custom initialization of the Collector. * This method is used to provide locally-defined custom pre-parsing of the input record. * any additional headers that were added. * This method is used to provide locally-defined custom parsing of the input record. * // event names from other devices in our environment so are hard to distinguish. * for the datatypes of those variables. This file also needs to be added to the specific collector in the same method as the lsc file. Once this is complete, we need to restart our collector manager. The way that I normally do this is from the Sentinel Control Center, under the Admin tab, I select the Collector manager, right click on it, then select restart. You should now be able to send your new custom events over and see them in Sentinel. The next logical progression in Part 3 will be adding taxonomy information for your newly added event.